This past weekend, I had a few fun plans with friends on Saturday! 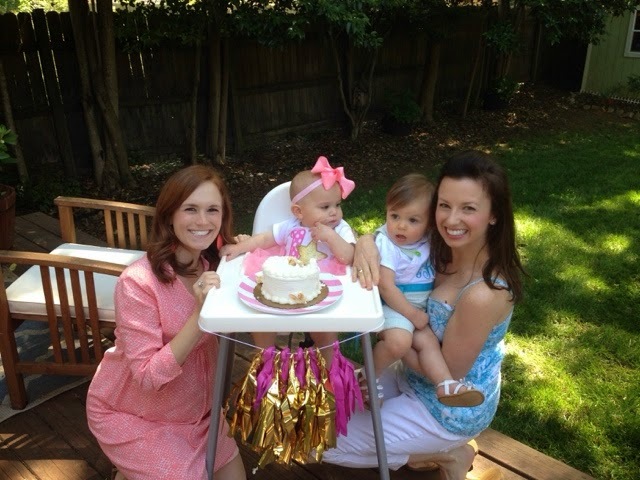 First, our little family went to go celebrate a very special little lady's first birthday -- Miss Caroline! Christina and I really enjoyed being pregnant at the same time and it has been a joy to watch the girls approach milestones together. 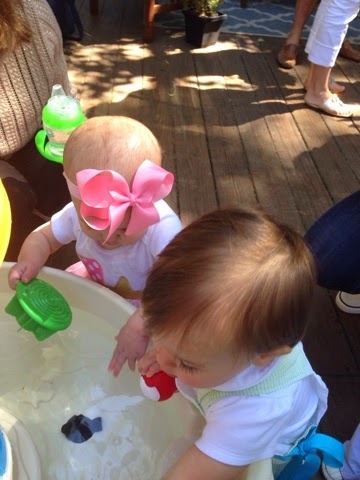 I just can't get over how adorable little Caroline looked in her tutu ... and girlfriend dug in to that cake! It was so cute seeing her enjoy her smash cake. We enjoyed talking to many of the other families there, and Camille fell in LOVE with the water table they have. Sommmmmeone may just be getting one for their upcoming birthday! Ian did all of the research and has added the following three to my Amazon cart. 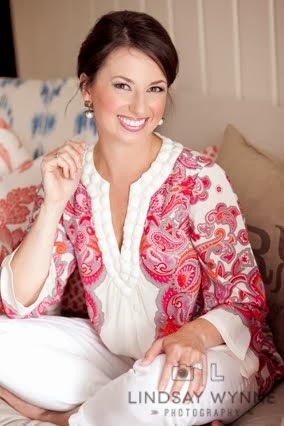 I would love any input from you if you have seen these in person -- the first one is the one that Caroline has, so we know Camille is a fan of that one. All on Amazon ... our favorite way to shop these days. The third one is the most expensive one but Ian is leaning towards that one -- he says it will keep her attention longer, but I just don't know if it's worth the extra cost. Later Saturday night, I had really fun plans with my friend Kristen! 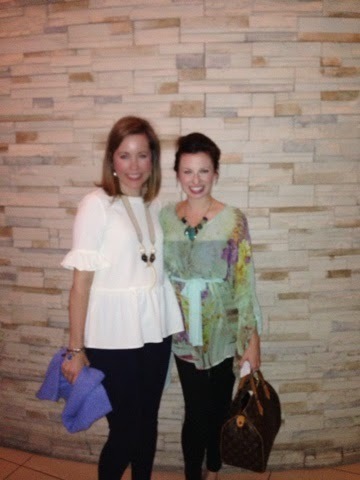 We took Uber downtown to have great sushi and cocktails at Enso, and then we walked to the Belk Theater where we saw Pink Martini perform with the Charlotte Symphony. It was an awesome show, and I would most definitely go see them perform again. 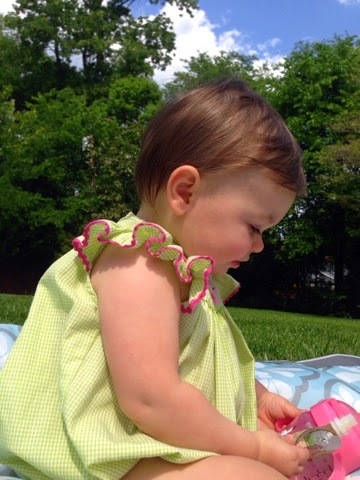 Sunday was beautiful so we had some great time in our backyard and later walked over to play with friends. It was a wonderful way to round out a fun and full weekend. We have the first water table and my daughter loves it! She got it on her first birthday and she is turning 3 in a week and still plays with this table all the time. Everyday she asks to get her table out! She loves throwing the balls down the middle part. SUCH a fun Saturday!!!! Glad our babies got to play together and celebrate one year! Soooo, I highly recommend water table #1. Caroline is still so obsessed with hers. One thing to to note, Buy Buy Baby carries it in-store (these things are SUPER hard to find IN store, btw) for $35'ish. Plus you can use a 20% off coupon! We have one that is similar to number 3 (but with an umbrella) also made by Step 2 and my daughter loves it too! Got it for her first birthday last weekend! Ha! Need for friends white top too! 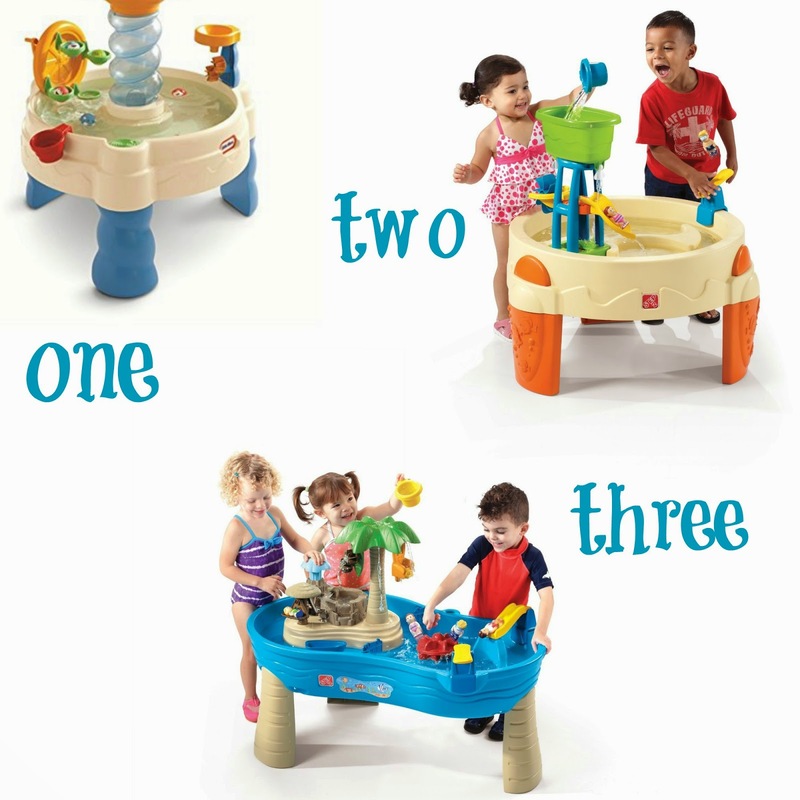 We have water table number two and love it. The biggest thing for us was getting one with a drain plug; makes emptying it so much easier. So we bought option 1 for Lawter's first birthday but Anthony's parents didn't know this and they also gave L a water table. We tried theirs out over the weekend, wanting to keep theirs since I know they were excited to give it to her, and unfortunately weren't happy with it. The plug leaked big time and many of the pieces don't "snap" in and go all over the place (such a shame, theirs came with an adorable umbrella!). We're going to open the one we bought this weekend and hope it goes better so I hope to have a glowing review on table 1 in a few days! LOVE our water table!!! we have the first one and don't have many complaints except the balls get stuck in the slide feature... other than that it's been a big hit!!!! Five On Friday ... and TGIF.